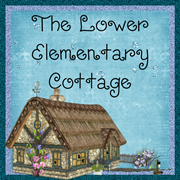 The Lower Elementary Cottage: Happy Monday! Anyone have a Cricut or Cameo?? Happy Monday!! This might have been the most laid back Monday ever! I only had 3 kids today! It being the world of SPED I only have 5 on a normal day (which tend to feel like 50 when they have tantrums), but still, three made for a peaceful day! Better yet... tomorrow is Fake Friday!! AKA Casual Tuesday because my team and I decided it's jeans day since we won't be here for Casual Friday. Besides, any day that involves "Turkey BINGO" just screams casual in my world! I was looking through the sale ads (pre-Black Friday research) and discovered Joann's has the Cricut electric cutter is on sale for crazy cheap $179 compared to the normal $299. 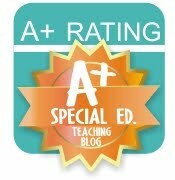 It's been on my wishlist after seeing some bloggers rave about how much easier it makes cutting out centers activities. Should I get it?? Do any of you guys have one? How do you like it? If I don't get this one, I may save up for the Cameo and get it later. I'm about to start some baking! I was reading Sara Morton's Day and a couple other Thanksgiving books this past week when I discovered not a single student of mine knew what corn bread was!! How is that possible?!?! Maybe it's because I have a Southern mother, but I thought corn bread was a staple in every American household. Sure, we don't bake it every day, but corn meal is always in our house and at the ready for when the mood strikes us. I don't know about you, but I love corn bread. So in the midst of me thinking the kids were wacky for never eating a bite of corn bread, I offer to bake some. They got very excited, so I'm off to bake some corn bread muffins! The kids loved this book! It's long, but even my kinder kids liked learning about being a pilgrim kid. Thanks to Smedley, we made paper plate pilgrims today. We didn't finish yet though. That's on tomorrow's agenda before Turkey BINGO! Last night I posted Christmas Tree/Present ABC cards as a freebie to practice matching upper and lowercase letters. I had a request for Winter/January/February themed ones, which I will happily be making this week during my 5 days off!! Do you guys have any other requests for my TPT store? My family is super low key for the holidays (aside from some serious Friday shopping! ), so I have tons of time. I was thinking of making my social skills reminder cards into posters. Then we can have a focus skill of the week/day in my class. I also will be teaching basic money to kindergarten in December, so I envision some sort of money theme center in my future too. Anything you'd love to see enter my TPT store? I teach K-2, so I have a wide range of material to work with.